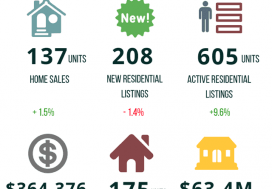 Residential sales activity in the geographical area covered by the REALTORS® Association of Grey Bruce Owen Sound totaled 284 units in August 2018. This was down 9.3% from August 2017 and stood broadly in line with the 10-year average for that month. On a year-to-date basis, home sales totalled 2,011 units over the first eight months of the year. This was a decrease of 16.8% from the record for the same period in 2017. The average price of homes sold in August 2018 was a record $443,865, surging 43.2% from August 2017. The magnitude of price gain was the result of one unusually expensive residential property sale. Excluding this one transaction from the calculation lowers the average price by almost $80,000 to $364,640 and trims the gain to a still robust 17.7%. The more comprehensive year-to-date average price was $358,052, rising 15.2% from the first eight months of 2017. 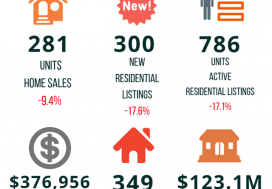 New residential listings in the region numbered 353 units in August 2018. 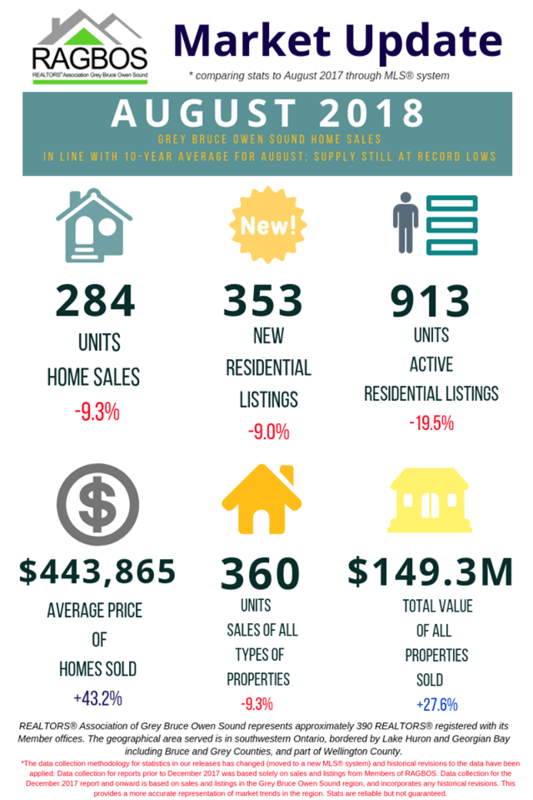 This was down 9% on a year-over-year basis and was the lowest number of new listings to hit the market in the month of August since 2002. Overall supply stands at record lows. 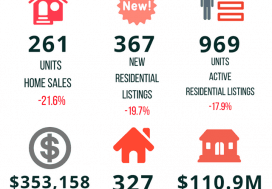 Active residential listings numbered 913 units at the end of August. This was a decrease of 19.5% from the end of August 2017. Months of inventory numbered just 3.2 at the end of August 2018, down from the 3.6 months recorded at the end of August 2017 and a record-low for this time of the year. The number of months of inventory is the number of months it would take to sell current inventories at the current rate of sales activity. listings in the Grey Bruce Owen Sound region, and incorporates any historical revisions. This provides a more accurate representation of market trends in the region. Stats are reliable but not guaranteed.